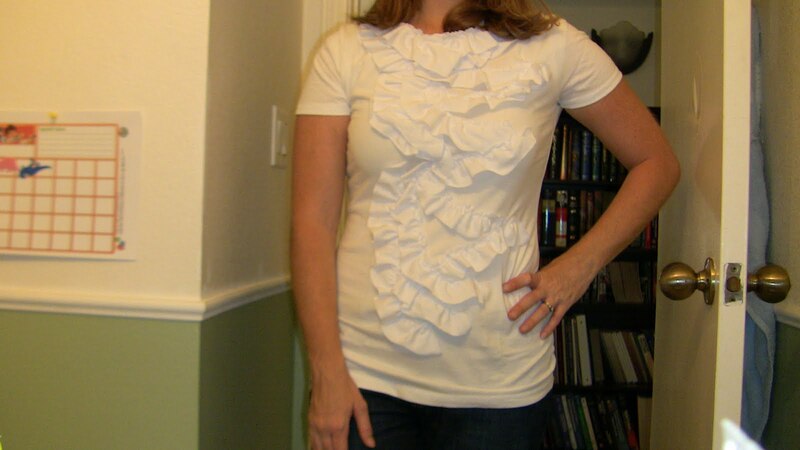 I loved this ruffle t-shirt from Tea Rose Home as soon as I saw it. I finally made one of my own. I think my problem is that I don't have her cute little figure. The ruffles just make me feel bigger. And I think I probably should have added some more ruffles. Maybe I will. But, I'm not sure if it's worth it at this point. It is pretty cute under a cardigan, so maybe I can wear it in the fall. When it's not 115 degrees. I don't think it's you at all. I think the arrangement of the ruffles is just a little odd. It's not bad, but I think with a better placement of the ruffles, it would be great. 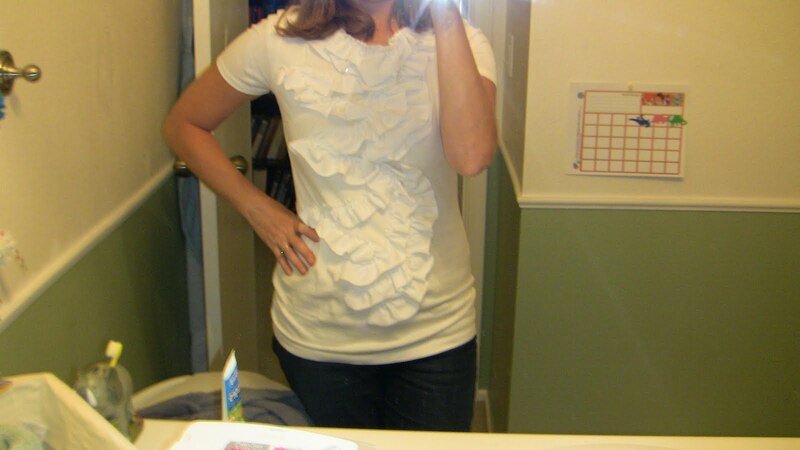 Maybe next time try pinning on the ruffles, then try the shirt on (carefully) to see if you like it. 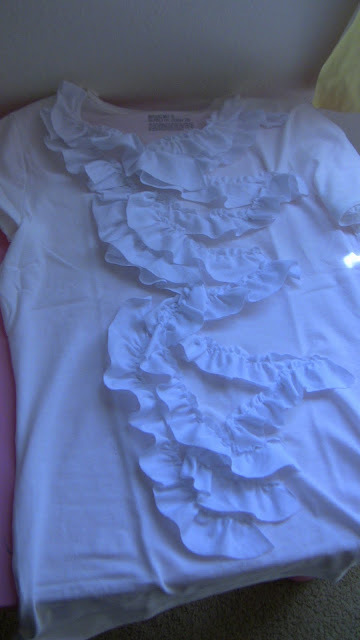 This turned out great!1 love the ruffles! I would love to have you link up to my Homemade Year Linky Party. It is the new theme on my blog Blissful and Domestic for 2012.